Vacation in the Mountains of Big Canoe, Georgia. Lake house with mountain and golf course views. Spend your vacation this year in our four bedroom, four and a half bath, Luxury Home. The house also includes two family rooms, a loft that can be used as a 5th bedroom, patio with a large hot tub overlooking the lake, screened porch, and large deck where you can enjoy a view of the lake, pool, golf course, and mountains. Everything you need to enjoy your time at Big Canoe is available to you in our home located on Lake Disharoon. You can wake up to the sound of the Canadian Geese flying overhead and go to sleep listening to the songs of the frogs. Our home has central heat and air as well as ceiling fans in all rooms, but sometimes you don't even need them! Set in the foothills of the scenic North Georgia Mountains with elevations exceeding 3000 feet lays the enchanted land known as Big Canoe. Be prepared to brake for deer or wild turkey at any given turn in the road. You can walk out the back door of our house and down the hill to the lake (beach), pool, waterside, and fitness center with an indoor pool. No need to get in the car if you don't want to. Tom, Judi and Stephanie - We were the first home owners in the Laurel Ridge section of Big Canoe 15 years ago. We live in metro Atlanta in the town of Smyrna Georgia, 65 miles from Big Canoe. Judi is a retired elementary school teacher and I was a Sr. Project manager working projects in 27 countries and retired March 2016. Stephanie is our lovely special needs daughter and along with working is very active in a number of sports in Special Olympics. This house will be like taking your own home on vacation with you. This house is not a small mountain cabin, It has room for the entire family to have their own space or bond together in the living room. 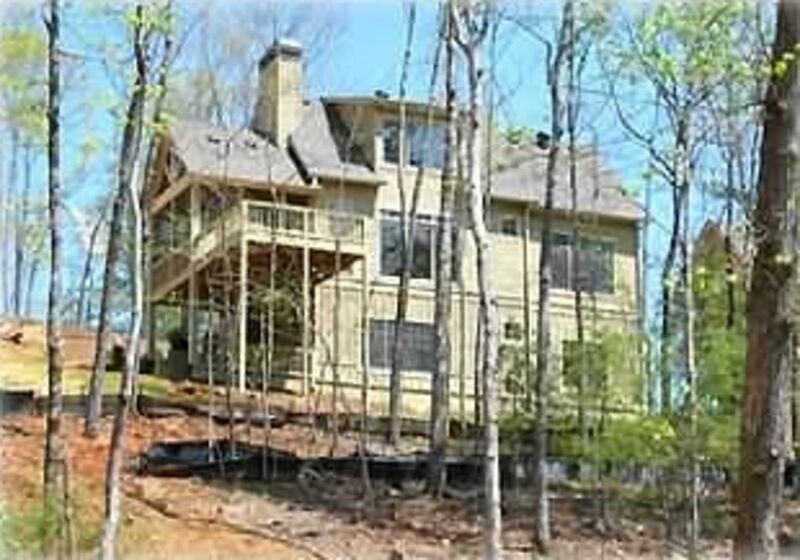 From the lower level of the house it is only a 50 yard walk down the hill to the swim club and the start of the hiking trails through the woods. After a swim, hike or run in the woods you can relax in our 8 person hot tub. You can sit in the living room and have a view of the mountains, beach and the golf course. In the morning. In the evening you can see wild life outside the windows. Unlike many homes in the area our parking pad will accommodate 4 cars. There will be a 3% surcharge due to be paid directly to owner when paying online via credit card.